You can tell you havn't been in the UK much in the last decade. 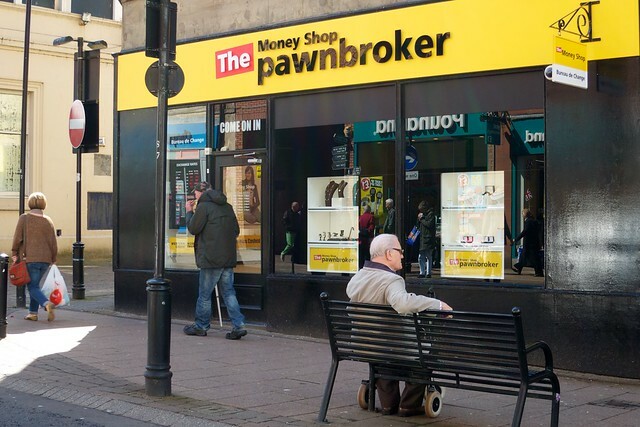 Pawn shops have made a comeback, although with snazzier branding as you have seen. I recall seeing a 'cash converters' opening at the bottom of Chambers street what, maybe 7 or 8 years ago? Well that shop is certainly new, but OTOH it may be an awareness bias on our part - our eyes were also caught by a 180y-old pawnbroker in Glasgow, when on the way to visit a 145y-old music shop with a related name...I wonder if the latter was originally set up to sell off spare stock of the former?